CROWN HEIGHTS – A five-story, 100-room hotel is coming to 1550 Bedford Avenue between Eastern Parkway and Union Street, a short walk from the Brooklyn Museum and the Brooklyn Botanic Garden. 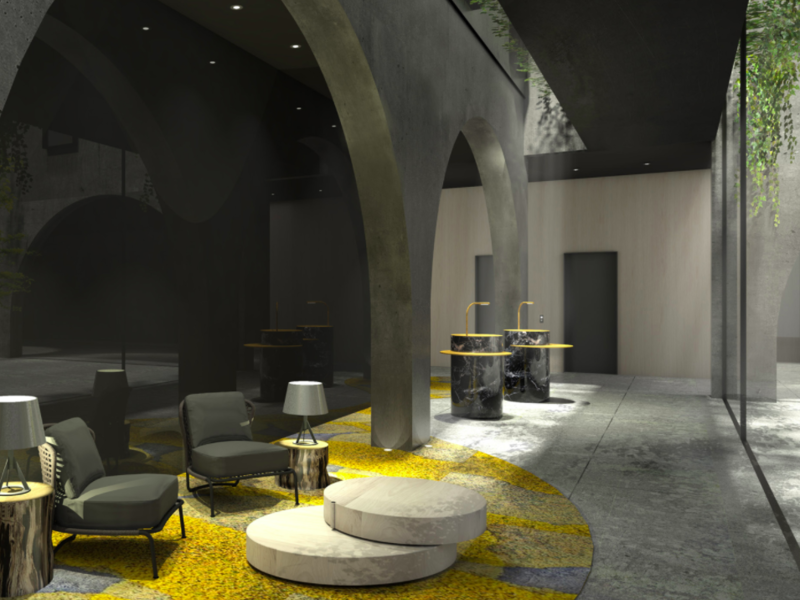 Designed by New York-based ODA Architecture, The Bedford Hotel will feature a central courtyard, green roof, rooftop bar, banquet hall, and retail space on the ground level, 6sqft reports. The project’s developer, All Year Management, purchased the site, a former gas station, in 2014 for $7.2 million. The hotel will be situated across from the contentious Bedford-Union Armory development. 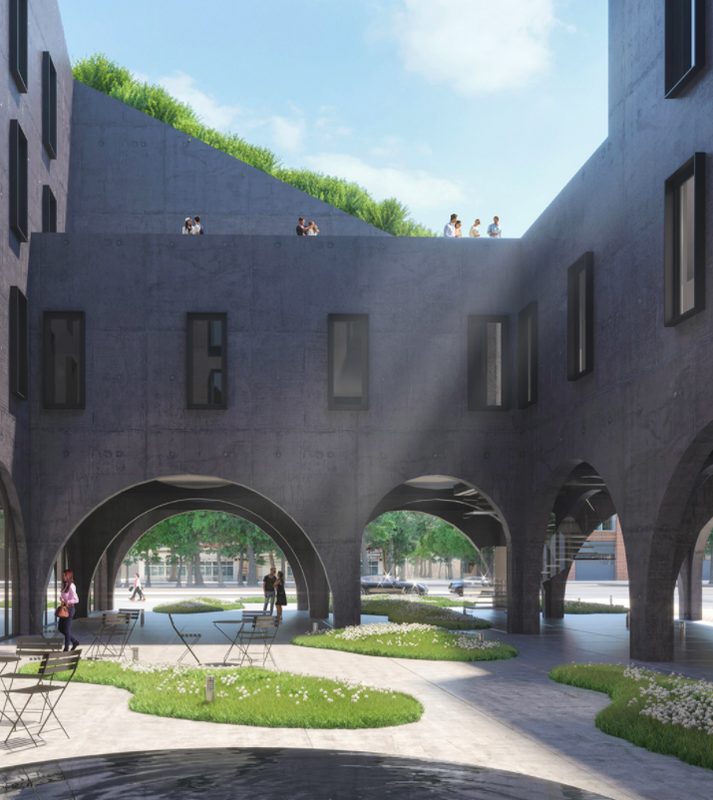 The multiple archways seen in the renderings of the courtyard extend to the hotel’s interiors, with arched doorways and corridors that “hug residents and guests with curved edges that allude to the building’s bent shape,” according to ODA’s project description. 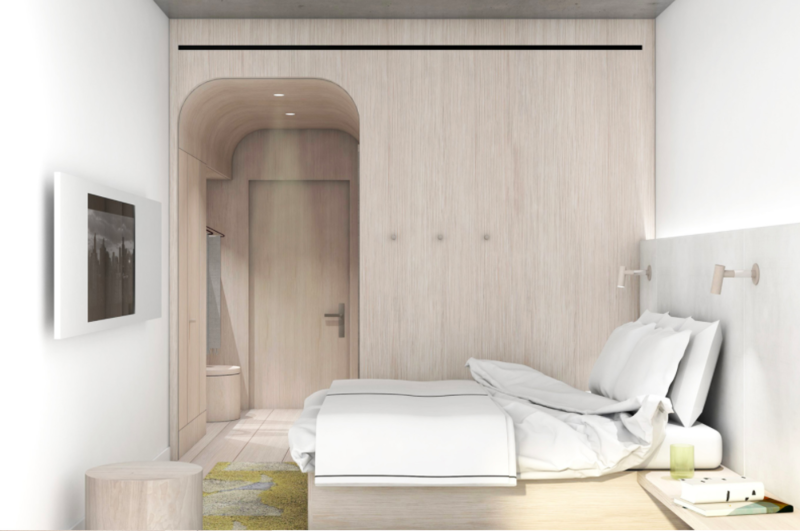 Learn more about The Bedford Hotel and check out additional renderings at ODA Architecture’s website.